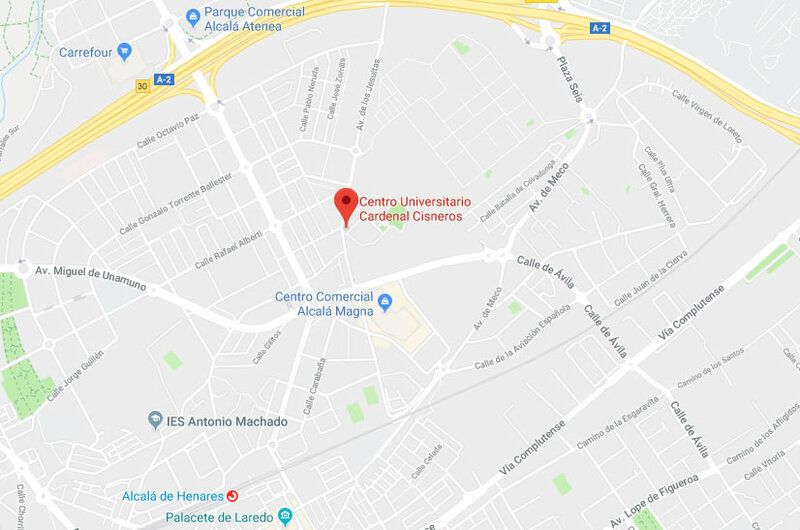 CUCC is a private centre administratively linked to the University of Alcalá. Therefore, students are required to pay private tuition fees (CUCC) and public enrolment fees (UAH). These prices are for students of the following degrees: Infant Education, Primary Education, Infant Education (Blended Learning), Primary Education (Blended Learning), Social Education, and Psychology. 2018/2019 course fee: €3,600 in 9 monthly instalments (€400) paid by direct debit*. (*) CUCC alumni get a 20% discount on monthly instalments for blended learning courses, provided they have previously obtained at least 180 ECTS credits. Prices for students of the Double Education degree programme. 2018/2019 course fee for 1st year students €4,320 in 9 monthly instalments (€480) paid by direct debit*. 2018/2019 course fee for 5th year students: 5th year students get a 20% discount on monthly instalments to CUCC. Prices for students of Degree Adaptation Courses for Infant Education, Primary Education, and Social Education programmes. 2018/2019 course fee: €720 in 4 monthly instalments (€180) paid by direct debit*. Students enrolled in Degree Adaptation Courses are required to pay the total amount of the public fee for the corresponding number of course credits (12 ECTS) and 25% of the public fees for the number of credits subject to transfer (228). Prices for education degree graduates planning to enrol for a new Specialisation Course. 2018/2019 course fee: € 2,520 in 9 monthly instalments (€280) paid by direct debit*. Students enrolled in a Specialisation Course must pay the total amount of the public fees for the corresponding number of course credits (42 ECTS). (*) CUCC alumni can receive a 20% discount on the monthly instalments for blended learning courses, provided they have previously obtained at least 180 ECTS credits. In addition, they do not have to pay any administration fees. As undergraduate students at CUCC also belong to the University of Alcalá (UAH), they must also pay public fees for Enrolment, Credit Transfer, Academic Transcript, and Degree Processing. Please visit the UAH website for information on Enrolment and Public Tuition Fees. These prices do not include degree certificate issuance fees. Prices may vary between courses depending on public fees. More information on public postgraduate fees. Office hours: Monday to Friday: 9 a.m. - 2 p.m.